When you are getting married everything must be perfect and that includes your invites. 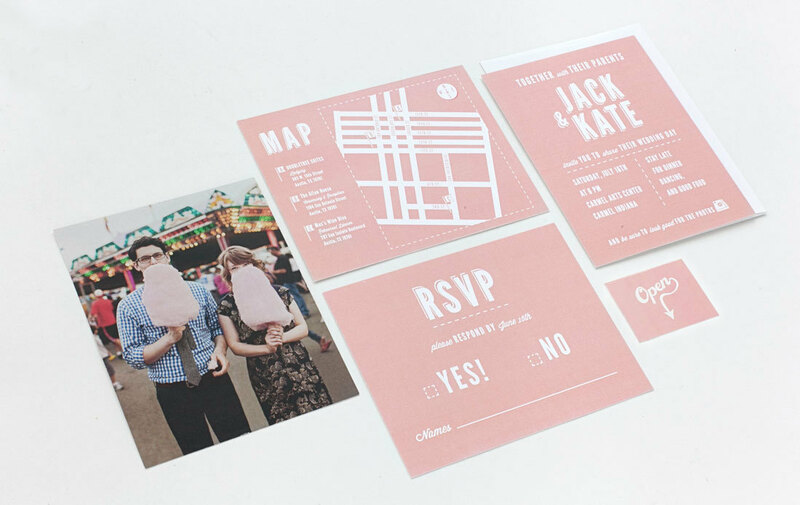 A well designed invite printed on gorgeous card can really stand out. We now offer over 40 different stock materials for wedding stationery printing in Jersey. Simple bond card through to textured twill & layered card. Or why not try something a little different. We can produce custom bespoke wedding cards, RSVP, order of service & thank you cards. We also offer textile printing, tote bags and wedding tea towels and pretty much anything else you can think of that you need printing. Stuck for a design too? Our designers are all extremely talented & we offer a full design service for all your wedding stationery. Our sister company Hirro deals with all our design work to ensure it’s the highest standard, on time and creative. So whether you just need some basic wedding stationery printing or require a full design package we have something for you.